Litter decomposition, governing nutrient and C cycling, is strongly influenced by the chemical litter quality. 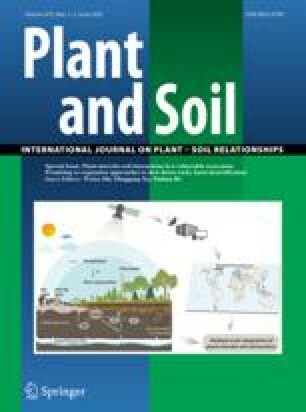 In order to determine the interspecific variation in leaf decomposition rates and to understand the chemical basis for such variation, decomposition dynamics of seven common canopy species was investigated over 2 year using the litterbag technique in a subtropical evergreen broad-leaved forest on Okinawa Island, Japan. The species studied are representatives of the vegetation in the study area and differed significantly in their chemical litter quality. Dry mass loss at the end of study varied in the order: Distylium racemosum< Quercus miyagii< Rapanea neriifolia< Symplocos confusa< Castanopsis sieboldii< Schima wallichii< Daphniphyllum glaucescens. All species showed a pattern characterized by a rapid initial decomposition followed by lower rates except for D. glaucescenswhich decomposition rate appeared to be rather constant. In the late phase, decomposition rates were correlated positively to initial N and ash contents and negatively to lignin content, lignin:N, C:N, and C:P ratios. The effects of N and lignin content or lignin:N ratio were stronger than other quality parameters. There was a wide range in patterns of N and P concentrations, from a net accumulation to a rapid loss in decomposition. The correlation between N and P release suggests that N and P dynamics may have influenced each other during litter decomposition. Analysis of initial quality for species showed that the C:P ratios were extremely high (range 1639–3811) but the N:P ratios were from 28 to 56, indicating a likely P-limitation for this forest. Our results suggest that P is an important control of litter decomposition and N and P dynamics.